Finally, RGB backlighting on keyboards is good for something other than just looking pretty. 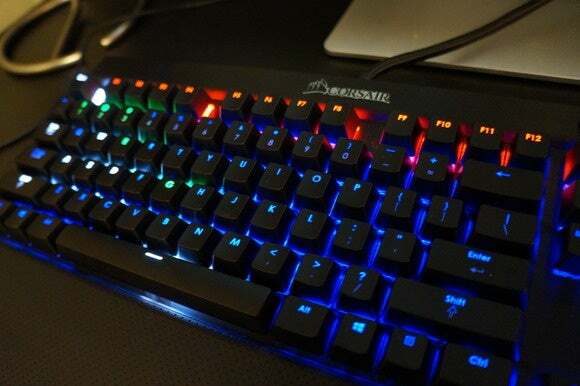 Ever since RGB (a.k.a customizable rainbow-hued) backlighting first trickled into keyboards, it’s always felt a bit like fuzzy dice on a car’s mirror: Aesthetically pleasing but functionally meh, aside from the same benefits standard keyboard backlighting offers. And there’s nothing wrong with that! 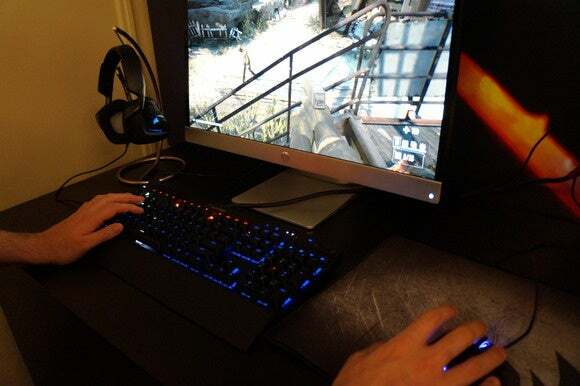 But at CES 2016, Corsair’s RGB SDK offered me a tantalizing glimpse at a real-world use case that puts that RGB backlighting to work: Delivering at-a-glance gameplay information in PC games. It simple, but it’s surprisingly effective. Corsair was demoing Psyop’s zombies-are-your-weapons FPS Moving Hazard with its RGB SDK. When you’re on the red team, your keyboard’s backlights turn bright red; the blue team’s, blue. But it was the deeper contextual information delivered that truly impressed. The WASD movement controls shine in a white hue, while each of your weapons keys shine green—until you run out of ammo, that is, at which point those keys turn red. The Function keys across the top of the keyboard appear red to mirror your in-game health bar, and slowly deplete as zombies bash at your brains, fading to black as your health does as well. Finally, all the keys flash red when you’re struck in-game. Like I said: Simple, but surprisingly effective—and finally, a tangible productive use for RGB backlighting. Of course, SDKs are only beneficial when they’re used by developers. 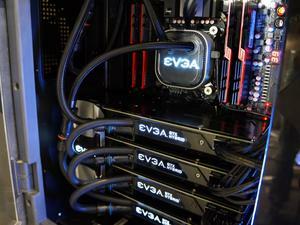 Corsair’s seeding the RGB SDK to select developers right now—Psyop’s working on integrating it into Unreal Engine 4, while another unnamed dev is trying to fold it into Crytek’s CryEngine—but Corsair’s planning to make it publicly available after the plugin’s more fully developed, sometime in the first quarter.